If you read the title yet and are wondering if I was not boasting with it, you should know that I ain't. 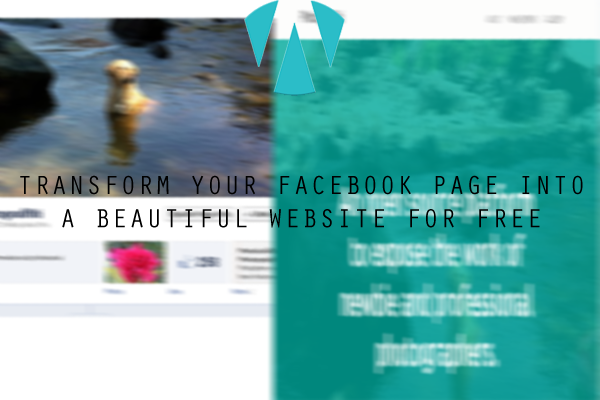 You can now transform your Facebook fan page into a beautiful custom website and that too for free. And there are included some awesome features which you can enjoy after reading this post till the end. Many of you own a personal business or a brand or just a fan base for which you have a page on facebook. Now you also wish that you should have a website instead of just a page, so you'll have to hire a designer like me, spend your precious money and get a beautiful website for your clients. Well, do you think need to do all this when all you want is just a website to show to your clients? Not really. How to do this, eh? Go to your facebook page and copy its URL. Go to pagevamp.com and paste the URL just in the homepage's text field and click Try It! Now see how your page looks as a website. If you like its look, register in. Customize and publish your website. Pagevamp is a startup based in NewYork, USA with a primary goal to make website development easy and sustainable. On their website, Pagevamp says that they worked in a Web Development company before this start up and that's where they learnt and got this idea. Add-ons to your site for more functionality. For example: a members page or a menu page. This is all in this post. I hope you'll enjoy your first website. Have a happy time.